So sorry this PiPl update is so terribly brief but I am leaving shortly to go film Fiesta. On the evening of the day our GHB Piping Plover Family were terrorized off Good Harbor Beach (between Tuesday 9:30 pm and Wednesday 4:40am), two were seen at Cape Hedge Beach by Rockport resident Gail Borgman. The following morning, Thursday, I met Boston PiPl monitor Laurie Sawin at GHB. She had come all the way from Boston to check on the Cape Hedge report. We headed over to Cape Hedge to check on the sighting and met Gail and her husband there. Sure enough, a PiPl was going back and forth between the sandy beach and rocks at Cape Hedge! We didn’t stay long because of the downpour. This morning, I met Essex Greenbelt Dave Rimmer’s assistant, Dave McKinnon. We were contemplating removing the symbolic fencing, when one, and then two PiPl entered the roped off nesting area. At first we thought it was the Mama and Papa, but it could also have been two males. The symbolic fencing will remain at least for another few days. Although it is late in the season for nesting there is the possibility that the PiPl will re-nest. I guess we will all just stay tuned as to what our remarkable PiPls will do next! 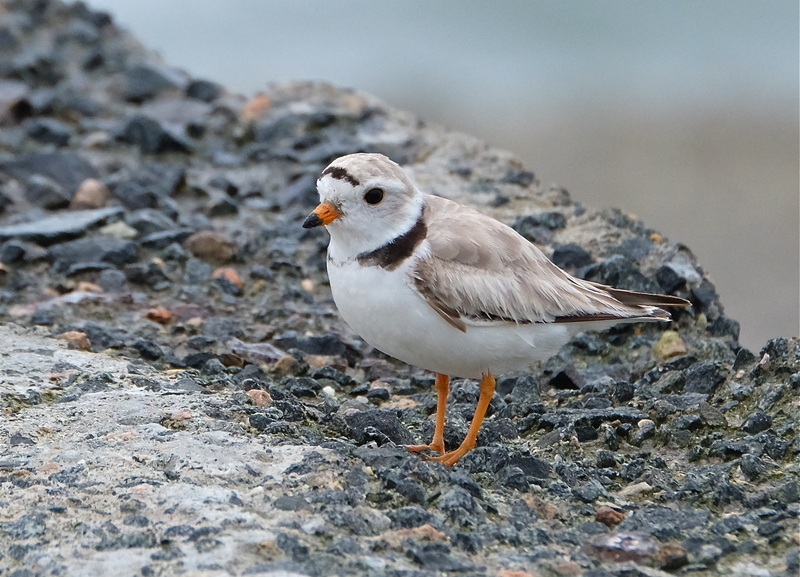 This entry was posted in Birds, Cape Ann Wildlife, Life at the Edge of the Sea, Piping Plover and tagged #shorebirdsgoingextinct, Cape Hedge Beach, Charadrius melodus, Gloucester, Gloucester Plover, Gloucester Plovers, Good Harbor Beach, Piping Plover, Rockport, th #SavetheShore on June 29, 2018 by Kim Smith.